I believe that it was last year when an idea finally struck me, and I think that it’s good enough to share in cyber space. Here’s what happened. I wanted to come up with a way to countdown the days till Santa visits our humble abode. My husband has a really sweet set of miniature tree ornaments which are Taiwanese knock-offs of these ones. 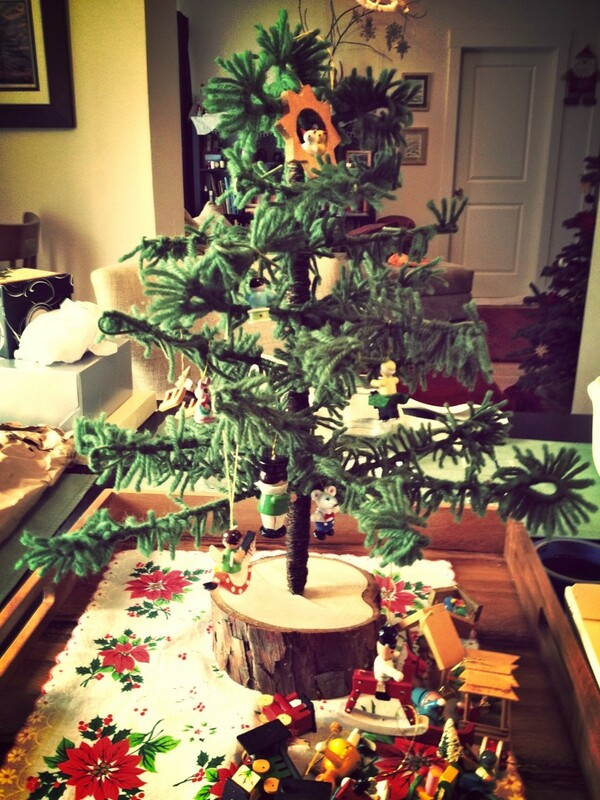 Knowing that he would appreciate creating a new tradition with some cherished ornaments from his youth, I decided that we needed a tree to hang them on day by day. 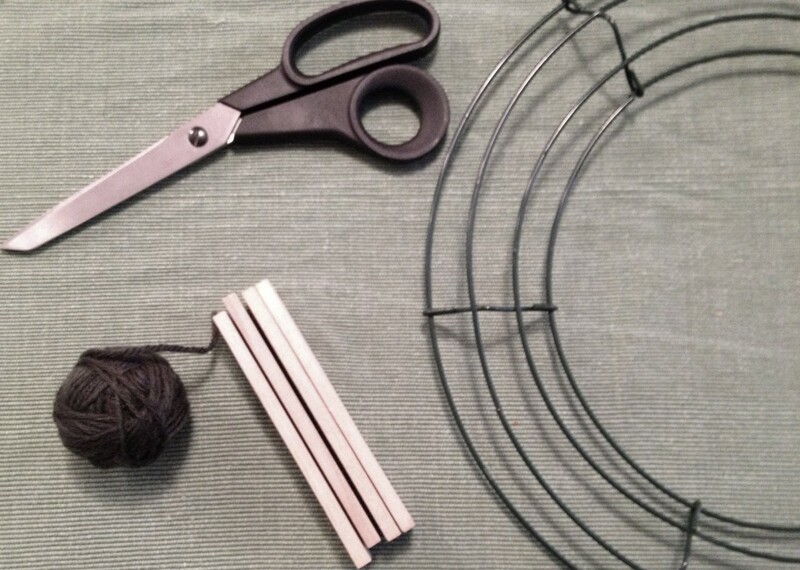 Knowing further that my husband appreciates thriftiness, and that if there’s anything that I posses in surplus it’s craft supplies, I set about figuring out how to make a tree from in-home materials. And I did. Honestly, it’s still a little rough around the edges, but it works for now and I’ll spruce it up in years to come. In the meantime, I decided that if I could make a tree I could make a wreath. I have a few wreath frames on hand from a wedding project that didn’t come to fruition and so I got busy. I had stumbled upon a color combination with the wool roving at our local yarn shop that I wanted to see more of during the weeks leading up to Christmas. 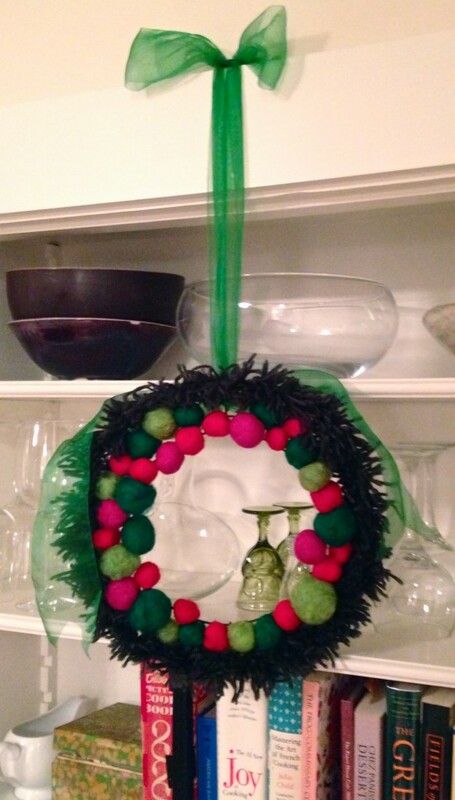 So I made a bunch of balls and my wreath took shape. Apart from being composed of things that I had on hand, I am especially fond of this technique for creating evergreen decorations because there is no plastic or other strange substance involved. All natural craft materials are all better, if you ask me. Both my tree and my wreath can use a bit of filling in, and I’ve still got plenty of yarn pieces left for that. So much in fact that I’m thinking that a garland may be in my future. For now though, it’s just a matter of pulling those ornaments out of the basement and hanging them up day by day. 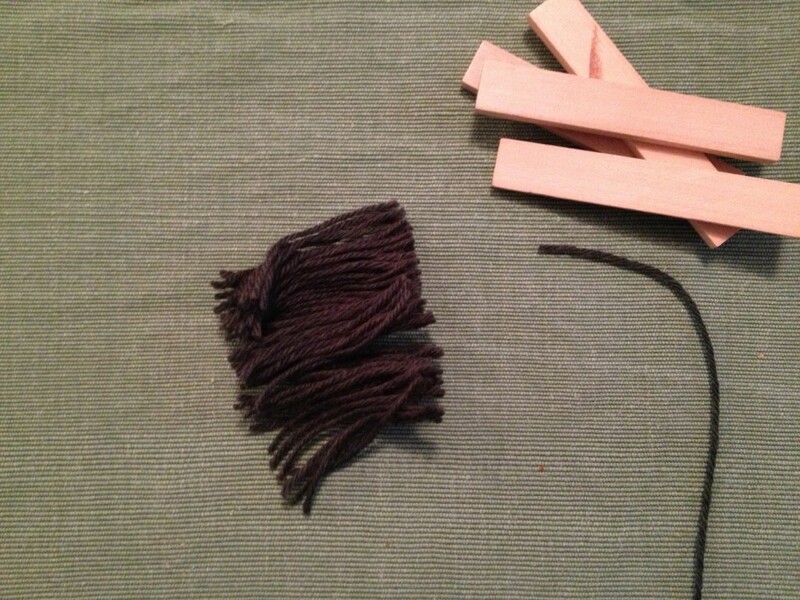 Here are the step by step photos for making your own wooly evergreen. If you are lucky enough to have some of these in home, they prove useful for all sorts of applications. 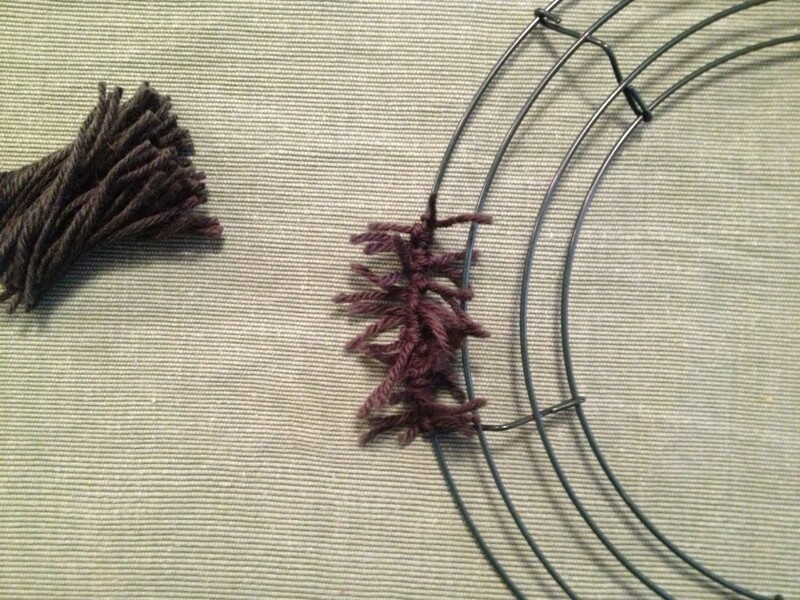 You’ll need some green yarn, scissors, and whatever form to which you plan to attach your yarn. 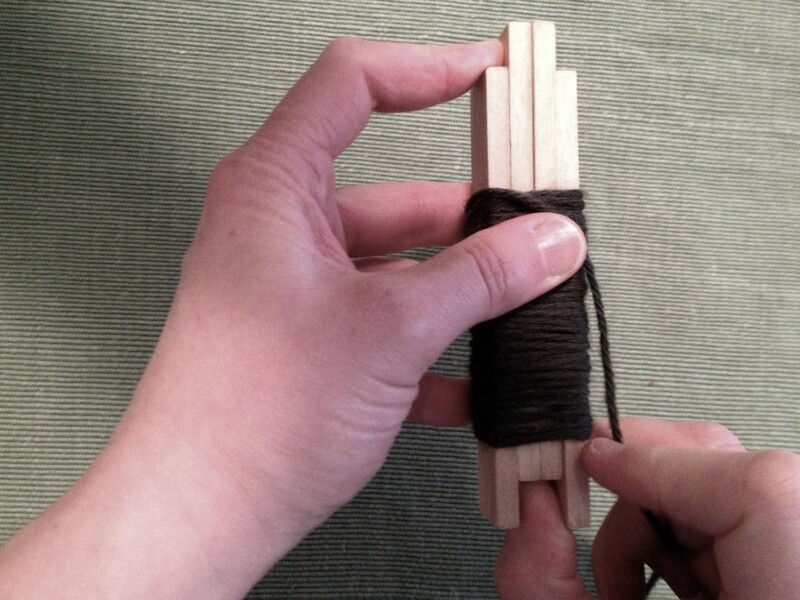 Wrapping your yarn around a few blocks and then removing the center two in order to make the cut is a speedy way to generate a large quantity of strings of a similar length. Now it’s just a whole bunch of cow hitching until you have your desired fullness of foliage. Here’s to a season of good cheer and merry making! 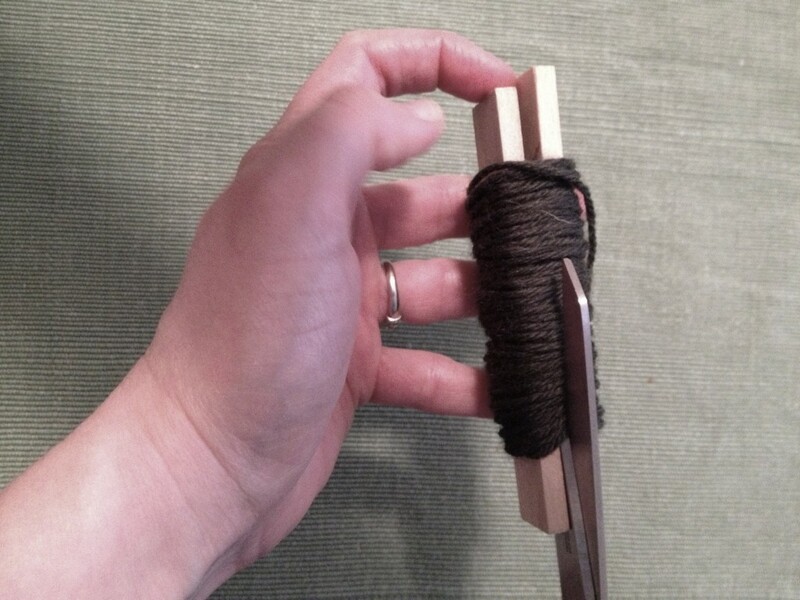 This entry was posted in She's Crafty, Uncategorized on December 1, 2013 by elizatwist. 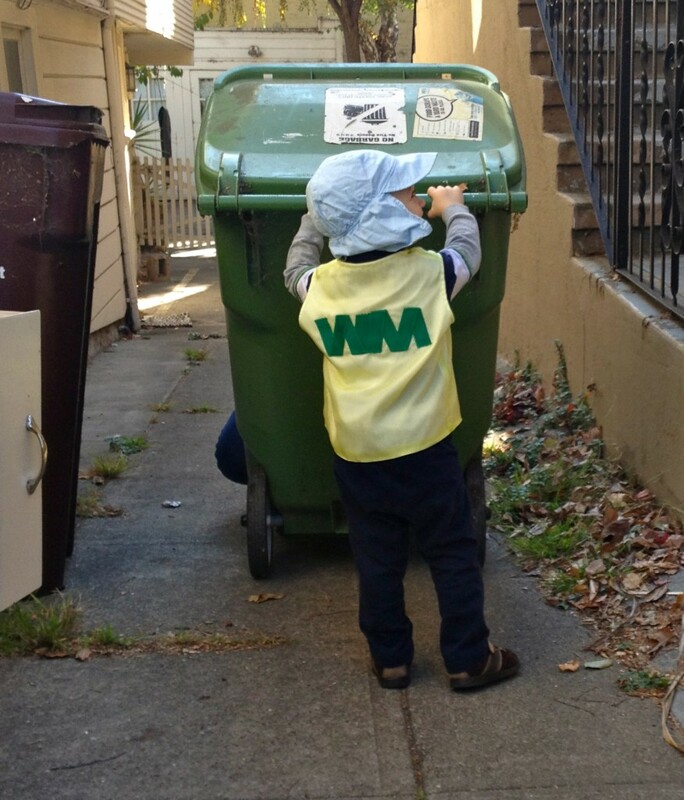 Our garbage collecting boy heads out for his first trick-or-treat experience in just a couple hours. Great fun awaits us! Halloween is by far my favorite holiday as a crafter. Sure, there’s Christmas and Valentine’s Day, but something about conceiving of and making a costume from scratch really appeals to me. I have some sort of code of conduct as a mom which dictates that my child must have a costume every year, and that it may only be store-bought in the most extreme circumstances. Last year our boy got his first superhero costume to match my own – that was before he had a choice in the matter. But this year I knew that I’d have to be a bit more cooperative since he could very well refuse to wear something if it weren’t to his liking, after all that nearly happened last year with his super-baby suit. So a garbage man vest seemed like the perfect thing. I was able to put it together in about two hours and he is so very happy to have the suit to outfit him while he performs one of his favorite tasks. Here’s to an evening of Happy Haunting! 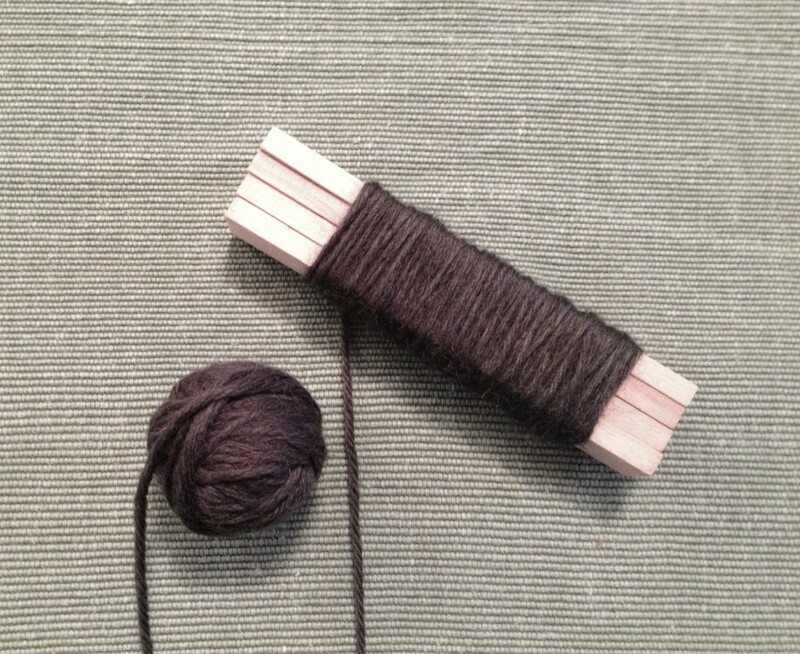 This entry was posted in She's Crafty, Uncategorized on October 31, 2013 by elizatwist. I did it! I am underway and feeling a sense of accomplishment for that simple fact. While I did experience a touch of weariness in the midst of my last workout for the week (starting a new exercise regimen is a different sort of endeavor when one is sleep deprived and overloaded with adult responsibilities), but I’m so glad to be doing this because already I feel a shift in my body. Overall, my body feels good. I’m being more proactive about addressing my ongoing physical ailments with this regimen and the benefits are already apparent. I feel more slender, although it’s difficult to know if its simply a result of improved posture from doing more challenging workouts, or if my body has already started to shed unnecessary weight. But the experience of feeling slimmer and more attractive is compelling and one of the cool things about Pilates. The form is so lovely that it infuses how we move in every moment. I love this about the work. Good Pilates means looking good. And that’s all around good! More recently Malcolm Gladwell thoroughly explored the idea. One of my teachers makes the point with respect to Pilates. It’s a good thing to keep in mind because we tend to be focused on much shorter term projects, at least that’s what we’re telling ourselves all the time. But those of us who are involved in any sort of ongoing endeavor – and I’d be willing to venture that almost everyone is doing something that fits the bill – know that to feel a real sense of knowledge coupled with demonstrable confidence takes time. About 10,000 hours, or ten years. With Pilates, we are not only learning something new, we are unlearning and undoing the movement patterns and muscle coordinations that are not optimal. This takes time. Things like injuries, childbearing, and life changes of all kinds, all bring something to bear on the slow and steady process of building a Pilates body. If we think of it as a long-haul venture, we can not only weather the changes that life deals us, but make the most of them. Every experience provides us with an opportunity to deepen our practice. While my size is bigger than it once was, I can say with complete certainty that I am further along in the process of building my Pilates body than when I was a slender young thing. This is a good thing to remember when I’m feeling downtrodden because I have exactly one pair of pants that actually fits me. Sometimes, the most important work is happening on the inside and the outside form doesn’t always reflect all of what that work entails. In looking at my first set of exercise frames, I see that my form is actually pretty good. I’ll take that as a sign that in the midst of caring for another, I’ve been doing a good job of caring for myself. Of course improvements are always there to be made and I’m sure that were my teachers to analyze my form, they’d have plenty to correct. That is the beauty of having a lifelong practice, and having really good teachers. But for now, I’m my own teacher. At present I’m staying close to home and my baby boy. The work of these days is most decidedly inward. And there is plenty to keep myself busy. Now that this inward journey has begun, I’m eager to see what is waiting to be revealed as the “exterior extras” melt away. This entry was posted in Pilates FKA Contrology, the Art of Control, Uncategorized on July 14, 2013 by elizatwist. This quotation is up on my studio wall. In an idle moment recently, I was reading it. An idea was sparked: why not accept Joe Pilates’ challenge and put myself to work? That same day, I proposed to a client that we do the work out from Return To Life Through Contrology. We did, in proper time (about twenty minutes). But something didn’t feel right in my back when we were done, so I did a bit of stretching hoping to alleviate the symptoms. I ended up with a gnarly back spasm that took a few days to unwind despite my rapid response – I was at my chiropractor’s office within a few hours. With my crushed sense of confidence, the idea was tabled. About a month has passed and the idea is still rolling around in my head. I gave it some more consideration and came up with an action plan. I could use a little boost right about now. I’ve got four collections of clothing for different sized bodies. And I barely fit into the largest sizes right now. While I have managed to hold off the rapid expansion that happened last fall, I am treading water these days, definitely not getting any slimmer. Since I never followed up on my diet plan of a few months ago and because it fits perfectly with this new project, here’s the simple story: I read Fallon and Prentice in preparation for this post. And I was persuaded that since I’m still nursing and hoping to have a second baby in the next year or two, that raw milk, butter, and raw milk cheese ought to remain on my daily list of foods consumed. As far as the white flour goes, well….I started with the best intentions by consuming only whole-sprouted grains. But little by little, white flour has crept back into my diet. And the sugar, well sort of the same thing. I’m still mostly consuming only whole sweeteners (palm sugar, honey, and maple syrup), but I don’t do well without a daily dose of chocolate (usually when I partake, I remind myself of Deb’s assertion and console myself that at least I’m not eating white flour too). What’s more is that I’m really not a dieter by nature. I never have been. I love to eat healthfully and have continually improved my dietary intake since I was a teenager. But I’m not keen to adopt a diet that includes deprivation. I like to eat and I like to do it in the company of others. And I really like ice cream. While I understand that a case could easily be made for avoiding it, I never seem to be able to hold on to the idea for very long. Eventually I end up thinking something along these lines, “this life that I’m living, here in the land of plenty, includes ice cream, why fight it?” And then I happily partake. So if I’m not going to lose weight by dramatically altering my food intake, perhaps exercise will do the trick. I figure that with exercise, not only do I burn calories, I also help myself feel better physically, emotionally, and spiritually. Pilates is such an incredibly complete and effective exercise system, I really should reap the benefits of what I know by putting myself through its paces, yes? YES! And here’s where I have to remind myself of two things. When it comes to Pilates, I know what I’m doing. Sure I occasionally throw my back out, but for the most part, when I really put my mind to it, I’m pretty good at the stuff. And perhaps a bit more importantly, I’ve done this before…. Back when I was a working 6-7 days a week as a certified Pilates instructor and preparing to enter my apprenticeship with Romana, I had an idea. I was working long hours so as to fund my upcoming training, and I needed to keep myself in the game, body, mind, and spirit. So I decided to start out each day with a Pilates mat workout. I’d genie-sit to lay down on my floor (it was nicely padded carpet which made it all quite simple) and perform the “intermediate mat series” at the prescribed rhythm (this would take me 8-12 minutes depending on the day). The series ends with a genie-stand and I’d go directly to the shower to start my day. As I walked those ten paces or so, I’d revel in how I was breathless and sweaty. And soon enough I experience a completely unexpected result, my clothes were falling off me. Those morning workouts did something for me that nothing else had or has ever done. Since then my body has gone through a wide variety of changes. In those days, I’d naively thought that my body would stay the same since I was dedicated to maintaining my Pilates practice. While I have indeed maintained my practice through thick and thin, and while I have made all sorts of improvements to my knowledge base and physical execution of my exercises, I have never repeated this rigorous morning routine. I know that the rhythm and enthusiasm with which I consistently performed my workout was a key component to my weight loss. I’m now wondering if the time of day also had something to do with it. Perhaps a quick morning workout gave my metabolism (whatever that is), a booster start. Or maybe not. The reason, I even consider the possibility is because it’s pretty unlikely that I’m going to be able to workout at the same time regularly given my life as a mom. Starting the on the new moon (July 8th) and continuing till the full moon on October 18 (this makes a little over fourteen weeks total), I’m going to follow Joe Pilates’ prescription with four workouts per week. Given my line of work, I may indeed end up doing more. As far as my sensitive low back and abs go, I’m omitting the exercises that are riskiest for me and will supplement with some apparatus work (cadillac, reformer, wunda chair, and spine corrector depending on the day). I may also do some other more gentle exercises which I call “Human Mechanics” on an as need basis. To keep myself inspired and honest, I’m going to video-record myself in minimal clothing once a week and share it online. I’ll also post a weekly update with my reflections and insights from the week, a photo to document progress, and key measurements (weight, waist, hips, and thighs). I’m super excited for this challenge, it is coming at a good time for me. Heeeeerrre I go! This entry was posted in Pilates FKA Contrology, the Art of Control, Uncategorized on July 8, 2013 by elizatwist. It’s that time again. While everybody else is in a fog, I get all hot under the collar. While I realize that this little campaign of mine is still quite small, I have already had one insight: spring forward is certainly the time of year that more people are willing to lend a sympathetic ear to my plea for the recovery of our collective sanity with regard to DST. That’s obvious right? Because everybody whose clock just sprung forward this morning is tired and out of sorts. This is the moment when people might be willing to get on board with the notion that this might not be the best idea after all. Fall back on the other hand? Everybody all rested and happy with an “extra” hour of sleep? Not so much. I am afraid that right this moment I’m feeling cynical. I’m feeling like so many of us are already too far gone to care. Given the high amounts of drug use (I’m referring to pharmaceuticals mostly) in the United States, many of us are too tuned out to notice. I don’t do drugs, I don’t even drink coffee. I notice. Every time. Daylight Savings Time is a bad idea. Anybody who thinks that it is a good idea is looking at just a little sliver of it. (How nice it is to fall back, or to have more sunlight for a few months at the end of a day’s work). Overall, DST doesn’t make good on its promises. Depending on where you live, some days have more sunlight than others. Period. We don’t need to tinker with a construct that we invented in the first place to see if we can squeeze a little bit more out of that sunlight. It’s time to wake up and smell the coffee, people. Down with DST. For good! This entry was posted in The Enlightened Path, Uncategorized on March 10, 2013 by elizatwist. A while back one of my clients told me what she did during her nursing days to keep her tummy private. And today, I decided that the time to share has arrived. 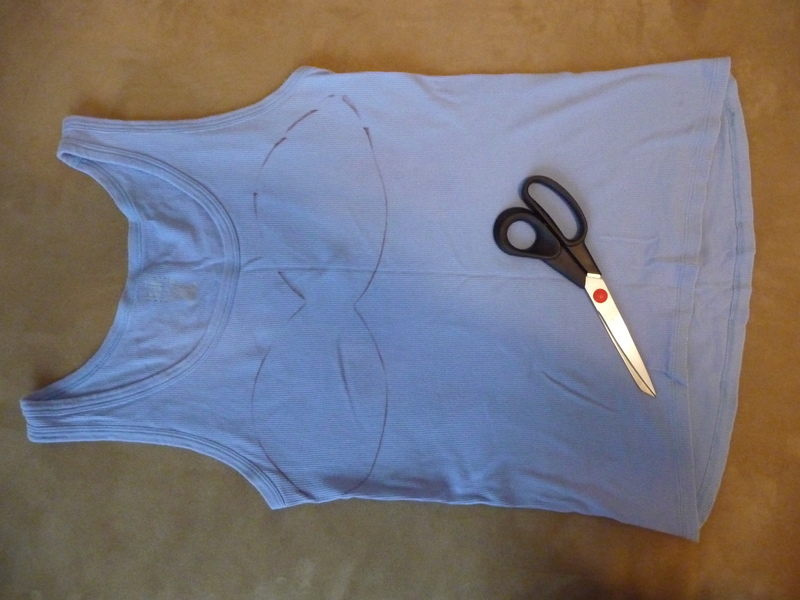 You take a long and easy cotton tank top (men’s undershirts work well) and cut out the bosom area. Then you layer your undershirt between your nursing bra and your regular shirt. If you wear exclusively nursing clothing, then this isn’t really necessary, but as the months wear on, I’m pretty sure that I’m not the only person dipping back into my regular old clothes. And it sure is more comfortable to nurse without being conscious of the fact that my flubbits are on display. Here are the photos to prove what a good idea this is. Happy altering! 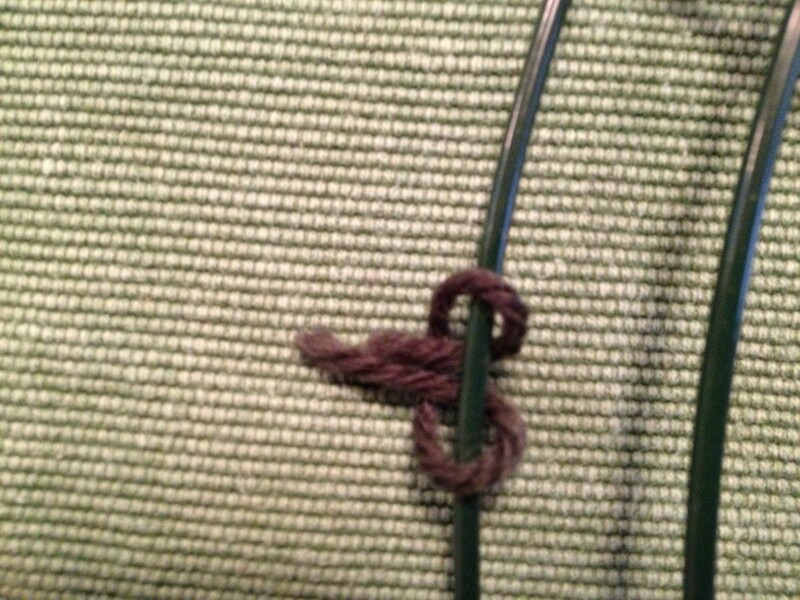 This entry was posted in Nifty and Thrifty, Uncategorized on February 27, 2013 by elizatwist. This post has got my mental wheels turning. I scrolled through the comments and found a link to this program. But the honest truth is that the core is my professional speciality. So really, if anybody can figure out how to get the tummy flat (or as flat as it was pre-pregnancy), I can! It follows that if it’s worth doing, it’s worth sharing, because I know all too well, that I am not the only one with this situation. What follows is a personal narrative, which I hope will help others to find their own personal narrative around their very own tummies. I am not pretending to be a licensed expert, just a very extensively trained Pilates instructor. I never had a flat tummy. Period. Which means I always (even when I weighed in at 135 pounds and wore sizes 2 and 4 – I’m currently in the mid 150’s and only wear stretchy clothes) had a little bit of extra in the space between my navel and my pubic bone. And my current evening dose of bikini views thanks to our current version of passive meditation,has me noticing of late that even the skinniest gals have that little extra bit there. It’s just that when your skinny, there is only a teensy little bit. Way back when, when I would do my Pilates workouts, I would often notice that my tummy stuck out as I was exercising (oh no! Say it isn’t so!!!). This meant that I was not in the pocket. This is not good, and perhaps part of the reason that I’m in my current pickle. I asked Romana once, “is my tummy supposed to be flat the entire time?” She said, “yes”. Of course she did. Because in Pilates we are supposed to be using all the layers of muscle in perfect coordination with each other, which means that the most superficial muscles (in this case the rectus abdominis) must not do more than their fair share. The superficial muscles are big show offs and are typically in the habit of doing far more than their assigned parcel of work. In a Pilates workout, we use mental focus to dial them down so that the other muscles can stand up and do their part. I exercised very carefully throughout my pregnancy, always with the primary goal of keeping my body moving. I wasn’t interested in all that extra fluid settling any one place in particular. Or the little person in there settling any one place either. No, it seemed to me that it was best to keep everything moving, on account of all that pressure, you know. Having heard stories from my colleagues of their own bouts with severe diastasis recti I had formulated one of my pet theories that people like us, who are admittedly rather obsessed with abdominal exercise might be more prone to having severe cases of this unfortunate tear of the linea alba which connects the two columns of our most superficial abdominal muscle (the one that gives us the “six pack”). Because exercise puts pressure on those muscles, and it is a challenge for each of us to get it just right (in the pocket) it follows that we Pilates instructors may have a higher propensity to experience this condition. For that reason, and because I heeded the words of JHP, I have always been careful to go easy with my ab series. I’m not a high reps kind of Pilates instructor, and I usually remind myself and my clients that when it comes to burn in the abs, less is more. Because that rectus abdominis burns, but the transversus abdominis and the obliques not as much, at least not in the same way and not at first when the RA is used to being the one doing the lion’s share of the work. The key to the flat tummy are the latter mentioned, deeper layers of the abdominal wall. I knew that it wouldn’t serve me to do lots and lots of reps if my muscles were not lining up properly anyway. In other words, if I did lots and lots of reps with poor form (my tummy protruding as it were), then I’d simply be exacerbating the problem by building up my RA while continuing to leave my other deeper layers of musculature de-conditioned. As I’ve already pointed out, I never had a flat tummy, so it was clearly a reasonable first goal. What with all the other things that happen along the way (childbearing being the current one, but various injuries and other things to tend to) this is turning out to be a rather long term goal. Having read this book cover to cover, as well as this one, and knowing what I did about my propensity for a split linea alba based on my line of work, I was very careful. But of course my abs stretched apart. That is what happens. So while I don’t believe that I ever had a tear, I had the normal amount of spreading. And here’s the thing. It’s still there. I’m not sure why. I’m thinking that it’s because I’m still nursing (this has been corroborated by my trusted support practitioners) and therefore still have the relaxin in my body. While on the one hand, I can find perfect reason for a lactating mom to have a soft tummy, heaven knows that my boy likes to squish it around. But. I am a Pilates instructor. And frankly, it’s not that much fun to have a belly like a bowl full of jelly. There is, as I’ve already confessed, also a fair amount of extra fat in that area right now. So that doesn’t help matters. But! Here’s the good news. I’m seeing progress. Here’s what’s been happening. Since very shortly after my birth I have been taking care of the many layers of my abdomen, carefully shepherding each layer back into her place of comfort. Thanks in large part to my reading, and the careful care of my midwife, and others who I have surely mentioned before and will do so again and again and again and again, I have been able to monitor that each and every bit of my viscera, connective tissue, musculature, and skeleton, have gone back into their rightful home. So, my spine, ribs, and pelvic bones are doing well. So are my bladder, uterus, intestines (there are A LOT of those), liver, spleen. My psoas has demanded attention a few times to be sure, so has my diaphragm (those gals are real whip crackers, let me tell you). The fascia enveloping all these various layers of stuff are nice and slippery these days after several painfully assertive demands for attention. And all the ligaments seem to have regained as much of the elasticity that they are going to until weening time. As for the muscles of my abdominal wall, I’ve been tending to them with the same tender loving care that I’ve always applied, and I’m fairly confident that they’ll lay right once weening occurs. (I say fairly, because neurosis begs me to hedge my bets, see above). And as far as the fat goes, well I’ve already shared my plan for that. There are some more updates, which I’ll get to soon enough. But it would seem that we are on the right track. My point in all this, is to share just how much I have seen go into what I have faith will someday again be my flat (ish) tummy. While it probably goes without saying, and I already sort of did, I’m going to do it again anyway. For emphasis. That the body of the mother needs and therefore deserves a tremendous amount of care and support to bear children and to return to herself afterward. As we each have our own soul journey, so we each have our own body journey. But we share enough commonalities that sharing our stories can be a powerful vehicle for our individual and collective empowerment as women and mothers. That’s my tummy story. Layer by layer. Someday approaching flat. All this tummy talk reminded me of a tip that a client gave me from her nursing days. I’ll post that one next. 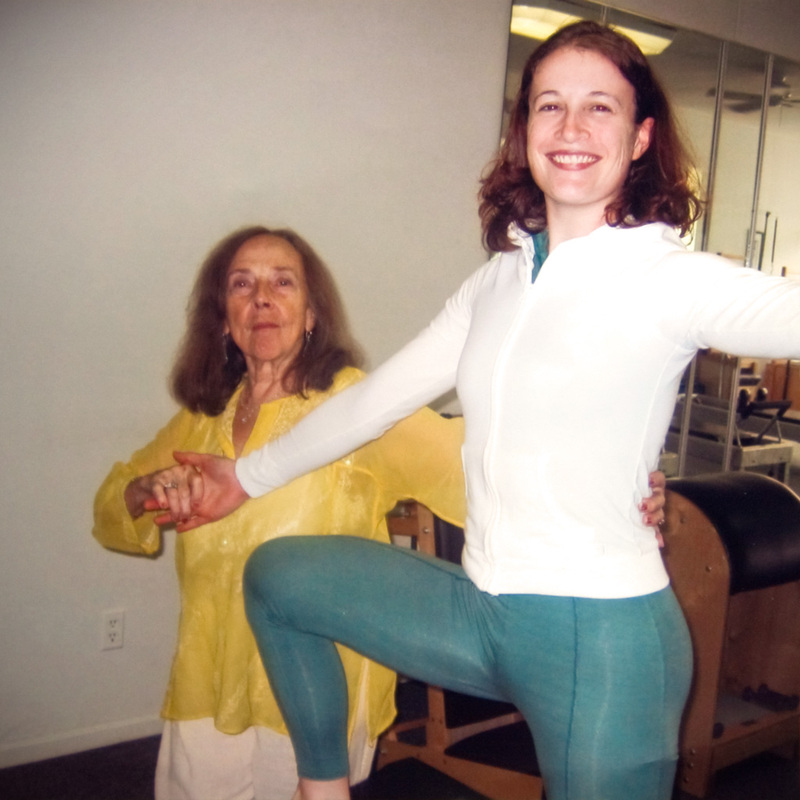 This entry was posted in Pilates FKA Contrology, the Art of Control, Uncategorized on February 26, 2013 by elizatwist. Yuletide, the dark underbelly of Christmas. Well, I hate to be a scrooge. But. It would seem that some sort of scrooge or grinch has designs on the our family Christmas celebration. This is definitely in keeping with our experiences throughout the year of 2012. This was the year when I marveled at how many times I considered the notion of rock bottom and while people in my family don’t necessarily think of things in those terms, there have been challenges at everybody’s doorstep this year. The year that we ought to forget, just as soon as it actually ends. But, clearly, in our individual and collective lives, we have far more goodness than badness. And so I thought that I’d turn to my keyboard with the hope that a bit of writing will put things in perspective. There was a point, when my husband was boiling with anger and frustration (I know just how he was feeling) and while I was feeling empathetic and quite sorry for him, I was also thinking that this is all going to be laughable pretty soon. I mean really. How could more things go wrong for people who love Christmas as much as we do and who are as well ordered as we are (type A all the way)? My step-father died last month. He loooooved Christmas. Just like me. Just like my husband. So we were that much more determined to have a quiet and merry Christmas celebration with my mom here in California. But, she’s sad. We are all sad. Then, two days before Christmas, my husband got hit with a virus. He was in the sort of misery that makes a person consider the lightness of death vis a vis the heavy burden of severe distress of the digestive system (ahem). I played nurse, we cancelled all activities involving people coming to our house which meant that cleaning and childcare didn’t happen. This also happened to be the day that I started my period and the morning that I was past due for a “sleep in” with my husband on baby duty. And it was raining, cats and dogs. After speaking with an advice nurse, considering just what would happen at the emergency room (he was really in a state of misery), and carefully evaluating his condition, we decided to follow the nurse’s instructions for restoring fluids. It worked and as the sun set, he declared to be feeling a tiny bit better. By the next day he could get out of bed. That was Christmas Eve. Oh good! But there are certain things that my husband always does to celebrate Christmas in honor of his deceased mother who absolutely loved Christmas. Christmas is the day that my husband and his father remember his mother and these personal rituals are very important to him. But he had to forgo them all. We had to tell his dad not to come because we did not want to risk him catching the ferocious bug that ravaged my husband’s body. Also, we have very little money (like so many others, I know), and for us this means dramatic cutbacks on Christmas spending. Which is fine. Sure. For the best. Definitely. And yet, we love the fun of Christmas presents. But the truth is that we would not have had the time or energy to wrap them and keep them secret. For example, my mom and I just decided to go shopping together. That way we could buy each other exactly what the other wanted. Not so romantic. But we were happy. We have purchased a lot of food. Which will be consumed, but not on the original schedule. We had a non-traditional breakfast which I ruined in my husband’s eyes by using sprouted whole wheat flour instead of the regular all purpose flour. I’m trying to keep the healthy of us healthy and bolster up my husband’s body. But, of all the meals, I picked the wrong one. He was quite unhappy with the situation and with me. Then came the baby’s bout with the bug. Which isn’t so bad, so far. Except that we are now treating his waste as if it were radioactive. The bathroom has become a toxic dump with my husband the sole employee, since so far my mom and I have steered clear of the big bad germs. So my mom, the baby, and I all headed to the Pilates studio in order to use the bathroom. By the time we got back, the baby had had another episode contaminating all sorts of clothing on the three of us, and my husband had successfully stopped up the toilet by mistakenly flushing one of our reusable cloth baby wipes down with the evil vermin. Over breakfast we shared memories of serene Christmases spent with loved ones. Those memories blended in my mind with the prose that I indulged in during the baby’s Christmas Eve nap. And it would seem that this Christmas is decidedly not going to make it on the the Top Ten Best Christmases Ever list. Wrapping presents with my mom and realizing that now I’m part of the parent wrapping club. (It’s fun to assist Santa). Listening to my husband read a Christmas classic over dinner. Sleeping in thanks to baby. Waking before baby in order to set up the video camera before he came out. Instead of rushing to keep up with him as happens nearly every morning, he seemed to know that we had something special in store for him. Watching baby enjoy his gifts one by one. He still has more to open, he is napping now. And many many more. Yes, there is plenty of good along with the rest. While this is not the Christmas any of us would have asked for, it is the one that we have got. It’s the one day that my husband expects to kick back and relax, which is a big deal these days in our little family. The thing that I realized about Christmas today is that here in the US, it is the one break all year that we get save for a few businesses being open. Boy can we use a break! I was thinking that it would be cool if we had one day like Christmas once a season. One day when absolutely everything was closed. All we can do is hunker down and mellow out. Despite all our trials, it’s still a relaxing day for the simple fact that we don’t have much to do. I like that, and I think that we could use a bit more of it. Just another crazy idea that I cooked up…that and a tasty Christmas dinner are the order of this Christmas evening. And once the babe sleeps, we adults plan to indulge in a bit of Christmas fun, just to put some smiles on our faces. This entry was posted in Daily Musings, Uncategorized on December 26, 2012 by elizatwist. It could be a sign of many things. I took it to mean the following: this should be the day to begin. Writing. Something. So I got myself a wordpress blog and here I am. Perhaps a little more background information is in order. I’ve lived in Oakland, CA for 14 years. I don’t recall it ever raining in July. My life is the result of my overactive imagination and a continuous sense of ambition. Which is to say, I have very full days. It would follow that since these full days of mine are a result of my actions, I would be happy with them. Surprisingly (perhaps), I often catch myself having a sense of un-fulfillment and the accompanying frustration. Somewhere in the recesses of my mind is a list of things that I would do if…writing is on that list. Writing any number of things. I have all sorts of ideas about what to write. And for a while now I’ve been thinking, well I should just start writing whatever. Just to be writing. And then when I woke up today it was raining. And it seemed to me that mother nature had just given me the little push to take one little step in the direction of an idea that was slowly working it’s way into an obsession. Now time will tell. Will I write? Will it be the salve to my nagging preoccupation with my private list of unfulfilled desires? I’m eager to know. But I like just as much the idea of letting it all unfold without the curiosity of how it will end. (Although I do often skip to the end of a good book, and I have no intention of altering that habit. ) Something tells me that taking time to write regularly within some sort of structure is just the sort of activity that helps a person enjoy the unfolding of life without so much emphasis on the end result. Because I think introductions are important I’m compelled to further justify my beginning with two more thoughts that I’ve borrowed from other people. These are the sort of thoughts that run through my head frequently, in particular today as I was tending to the other parts of my life all the while anticipating sitting here writing – they came to me. My mom often quotes a friend of hers who said: 99% of work is just showing up. Well, here I am! I think I know what she means. At the very least, I know that those words strike a chord within me. They give me a sense of feeling that I really must continue onward. And so, here I am! And with that, I think I’ve completed at least a -good enough- first pass at answering the question, Why me, here? This entry was posted in Uncategorized on July 17, 2012 by elizatwist.